I can't believe we are on Page Six already. That means that Priorities is beginning to wrap up. It won't be much longer before the mood here takes a drastic change and we get into the web strip. 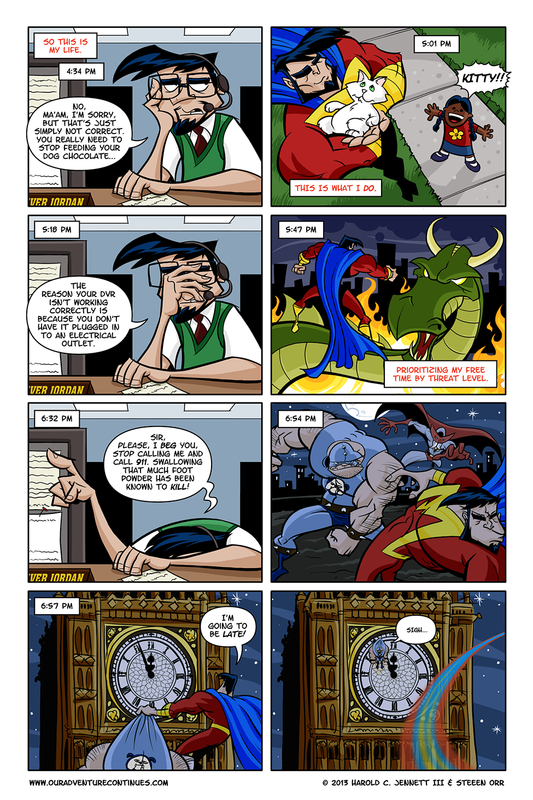 The web strip is a fictional and farcical "behind the scenes" look at how Harold and I work together and will post twice a week on Tuesdays and Thursdays. So buckle your seatbelts for that. Harold and I have been working really hard on that and are currently about 13 weeks ahead with 25 strips completed and in the can. Remember to Like us on Facebook HERE., or Follow us on Google+ HERE.